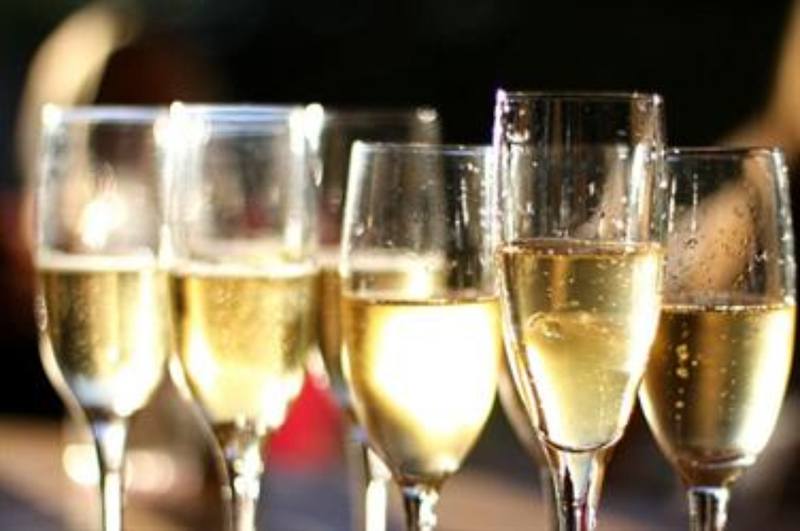 ENGLISH SPARKLING WINE producers are increasingly holding their own against their continental cousins, with English and Welsh wines winning many prestigious international awards. There are over 400 vineyards in England and Wales covering some 3,500 acres. These vineyards support around 130 wineries, which produce some 3 million bottles of wine per year - Sparkling: 60% / Still White: 30% / Red & Rosé: 10%. In the last 15 years English sparkling wines have won 8 Trophies for Best International Sparkling Wine and 4 Trophies for Best Sparkling Rose in Global Competitions – no other country has achieved this. Original & Distinctive source a variety of English Sparkling Wines (Méthode Traditionnelle) in order to offer a PORTFOLIO of niche premium original & distinctive beverages™ from small producers. Because these producers are small, stocks may at times be limited, which is why we constantly review and refresh our portfolio of ‘hand crafted’ drink products (which will change from time to time) to ensure we always have on offer a range of quality products that are creative and stylish and, not readily available in the supermarkets chains. BLUEBELL (East Sussex) - produces wines of distinction, marked by their freshness, elegance and finesse. Supported in the vineyard by the selection of classic Champagne varieties (Chardonnay, Pinot Noir and Pinot Meunier) it has a policy of minimal intervention in the use of chemicals and herbicides. The grapes are entirely hand-harvested and then gently whole-bunch pressed to extract the freshest juice for the base wine. BOLNEY (West Sussex) - has been making wine at its Estate in West Sussex since 1976. Their aim is to produce top quality red, white and sparkling English wines from Pinot Noir, Pinot Gris, Chardonnay, Bacchus and, a number of other varieties. Their sandstone soils are perfect for growing vines which, in no small way, has contributed to the success in winning many international and national awards along the way. HUSH HEATH (Kent) - is focused on creating an environment where it can produce the finest wines possible; wines that truly reflect the unique character of the Hush Heath Estate and the people that work there. Passion, energy and determination permeate throughout the Estate, from its beautiful oak woodlands, immaculate vineyards & apple orchards and stunning gardens, through to its state of the art winery. KINGSCOTE (West Sussex) - began making sparkling wine in 2011 and so far, 15-acres have been planted under the watchful eye of award-winning English winemaker Owen Elias. The site incorporates a two-acre apple orchard and combined, the site will produce up to 100,000 litres of wine and cider. Note: We are currently in the process of adding more products from our existing suppliers and arranging tastings with more potential suppliers.